Balancing between theatre and dance, mime and ritual Atropos constantly redefines its scenic experimental approach. This quest goes from the wildest to the tamest aspects of human existence, inspired by universal dynamics. Pro-glossic, meta-glossic and glossic landscapes are examined. The rhythm becomes the base for human action and vice versa. The emphasis is given to arhetypical human landscapes towards existential, metaphysical and surrealistic levels. In conclusion, the main theme of Atropos is the poetic of transformation to the other self. Atropos undertakes two basic activities: On one hand education and research and on the other hand creation. The educational and research part is realized through introductive and intensive workshops in Greece and abroad. The creative part is reflected at the 4 past projects: At “Aim” (2004) and “Apetites” (2005) the central subject was man-woman in its archetypical dimension, and in “Akosmos” (2006) and “come” -1st and 2nd version (2007) the human fights with society or with its disfiguration testing his limits and his existential agony. 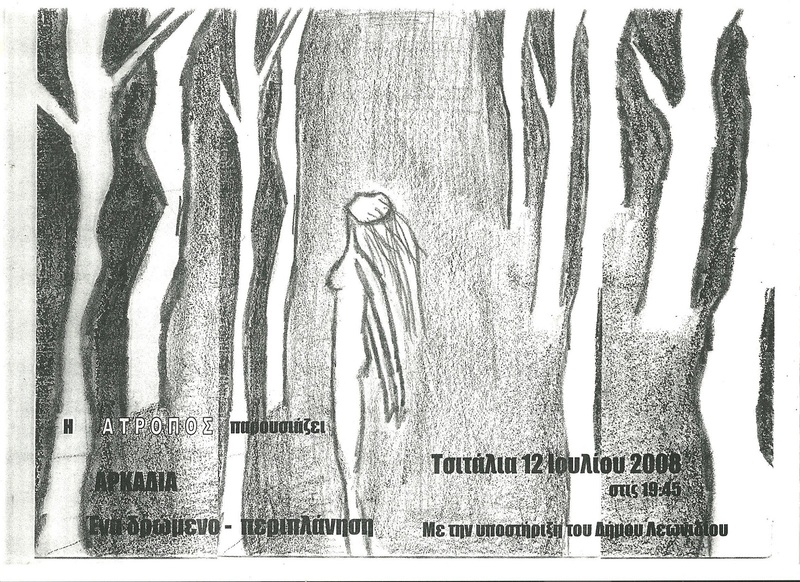 In 2008 two projects were presented: “Arcadia”- a wandering performance in nature in a mountain of south Greece -concerning the confrontation of the human being with nature space and “Beside oneself”- a solo performance- presented in Greece, Armenia, South Korea, Iran and Russia. “Karma” (2009) - a performance for two performers and one musician/performer- presented in Athens, in India and at the island of Lesvos. 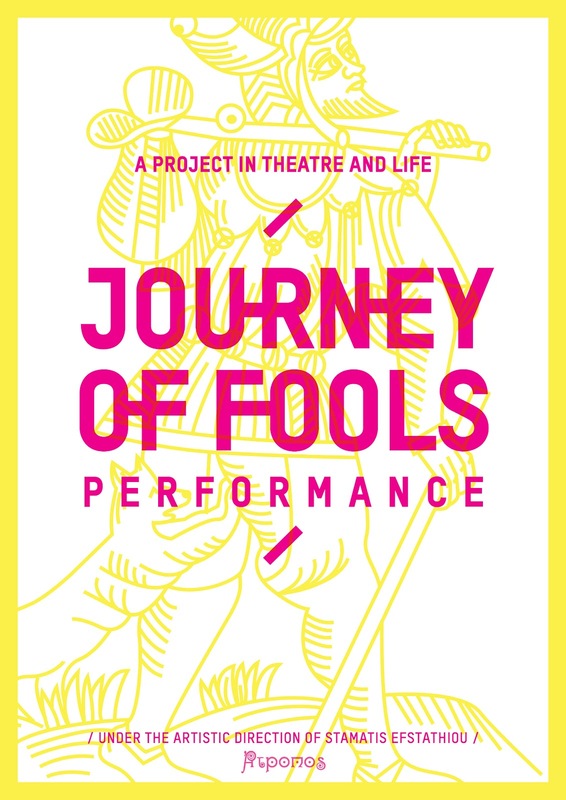 “The journey of fools” project (2011) has passed from 4 different countries –Poland, Denmark, Germany, Bulgaria - through workshops and “The journey of fools performance. With ENERGIA, Atropos actually confirmed the passage to an other phase, rather related to Anthropology, research on sacred traditions and to environmental theatre. "Godonia" the performative fruit of "Energia 2012", treated the topic of waiting. "Godonia" was developped to "Bela Godonia" in ENERGIA 2013 and further more to "Tuva Godonia" during the expedition in Tuva, in the frame of KOSMOS Project. "Bela Tuva Godonia" performance is the latest draft performative version of waiting research.. Presented in Saint Petersburg, Moscow and in Saratov. In 2014 Atropos started the exploration of the second branche of "Tetraptycho": "UTOPIA". In the researche are included readings, film projections, lectures and of course laboratory workshops and attempts to create performances allways in a work-in-progress logic. A first organised effort to create a performance is "ANIMA-L-ISMUS" a work inspired from G.Orwel's "Animal farm" as well as from various texts (Zamiatin, Pesoa etc). This performance has already had a site specific version in the village of Bela Rechka, in Bulgaria. In 2015, Atropos collaborated with Kani theatre from Iranian Kurdistan. 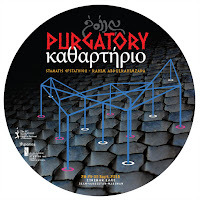 Stamatis Efstathiou directed part of the performance "Purgatory", which has been presented in a festival in Iran and in a steppe nearby Bukan. 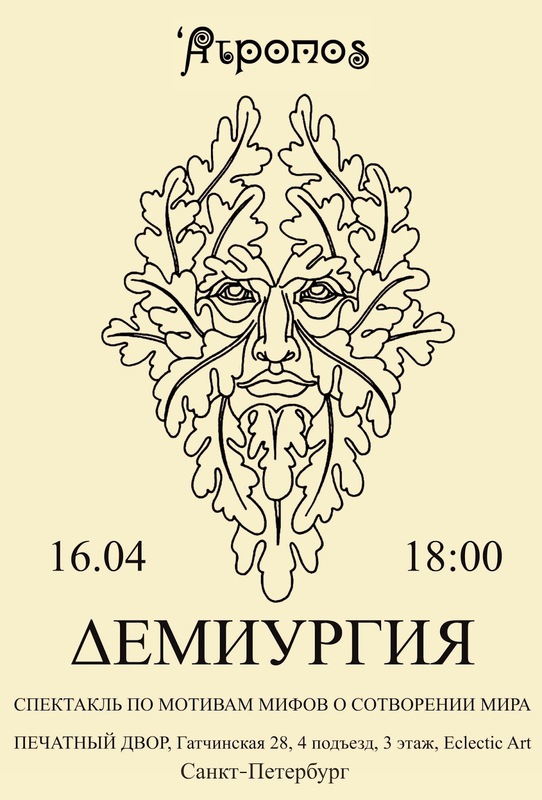 In 2017 made its premiere in St Petersburg the performance "Demiurgia", a performance fruit of collaboration between instrumentalist and narrator Sergey Sozin and Stamatis Efstathiou as actor-director. 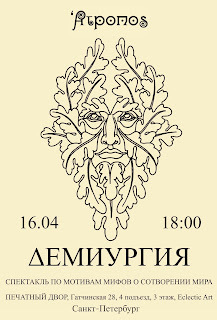 The performance is planed to be presented in Minsk, Madrid, Athens, Thessaloniki, Kiev and again in St Petersburg. Stamatis Efstathiou - Atropos artistic director, is practising theatre as director, performer, performer's trainer, researcher and writer. He has wandered around Europe following masters in Poland, in France, in Germany and in Serbia. On parallel he founded Atropos Laboratory theatre ensemble at 2004 and since then he participated as director, performer and writer in various theatre projects in Greece, in India, in Poland, in Iran, in Germany, in Armenia, in Bulgaria, in Denmark, in South Korea in European and Asian Russia in Mexico, in Belarus, in Spain, in Great Britain and in Ukraine. (ENERGIA – Actor’s training & connection with local communities, CARNAVANI – New year’s singining and ritual traditions and theater visits in houses, KOSMOS – Theater expeditions in remote places of the world, TETRAPTYCHO – Long term research on Waiting, utopia, sacred, love/trough thematics, etc).